Book Your Private Or Corporate Event This Summer! 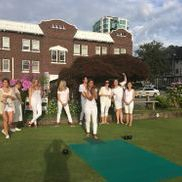 Granville Park Lawn Bowling Club is a great time for private events or corporate events. You can rent the facilities for birthday parties, celebrations or just to get a group of friends together to have a good time. GPLBC is great for corporate events. 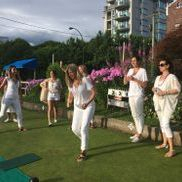 Get out of the office and do some team building on the greens at Granville Park. 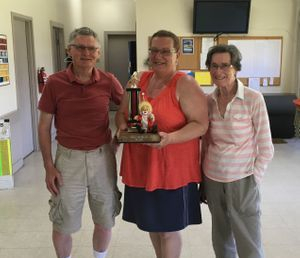 A team from Granville Park won First Place on Section A of Women's Fours in a BC week tournament. Congratulations to Gord Oikawa, Peter Cheong (Granville Park) and Gary Kirk on becoming Champions in the 2017 Senior Men's Triples held at Qualicum Beach. 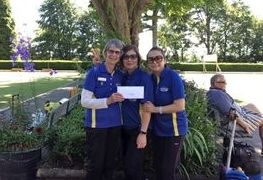 The Kerrisdale team of Diane Petrant, Chris Smith and Linda Ng won the Nancy Malloy competition held at Granville Park Lawn Bowling Club on 6th July 2017. Thanks for everyone who made it out, it was another great Nancy Malloy!! 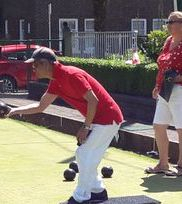 Granville Park Members celebrated Canada Day with a wonderful day of bowling in glorious sunshine. 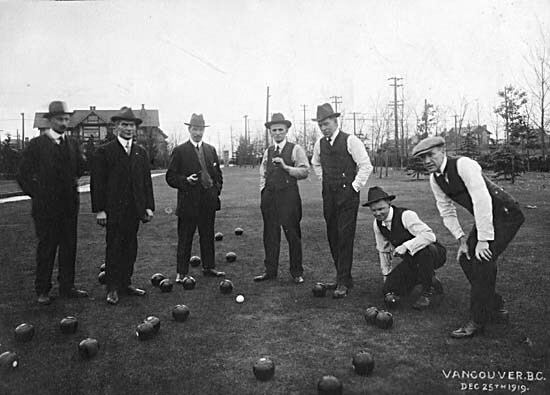 2 x 10 end games were played in the morning, and following lunch a "spider" was held in aid of Vancouver General Hospital. 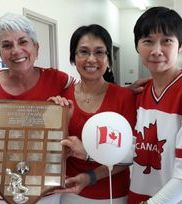 After the final game, the Doug Bergey Mixed Triples Trophy was presented to "The Wonder Girls" - Juanita Tucker, Margo Li, and Lisa Cheung. The day ended with a hearty BBQ. Thanks to all who helped make this Canada 150, a day to remember. 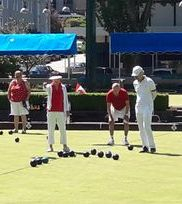 The Provincial Pairs were played at Granville Park from June 23-25. Michael Leong (from Granville Park) with his Skip John Scutt (Maple Ridge) won the Bronze Medal. The medals were presented by Darren Hutchinson, Director of Operations, Bowls BC. Congrats to Michael and John from everyone at Granville Park. Congratulations to Winnie, Alice and Pat who won the Dale Hoadley Women's Triples on Saturday June 24th. There was a tie for first place, and they won on a count-back! 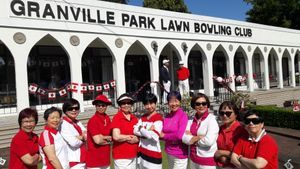 The winners of the 2017 President's Cup held at Granville Park LBC were from Richmond. 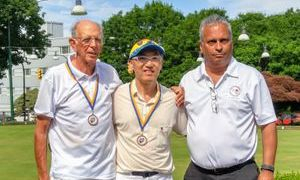 This event is only open to club executives as the V&D's way of thanking those people who volunteer their time and energy to the Sport of Bowls by serving on their club's executive. 3x10 end games were played, and the Granville Park ladies served a delicious lunch. David Arnott, V&D President, convened and presented the trophy to the Richmond team. Congrats again to team Richmond! 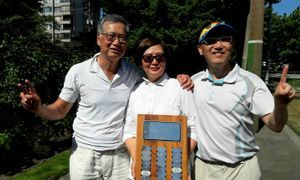 Granville Park Lawn Bowling Club members Winnie Yuen, Wilson Choi and Michael Leong have won the 2017 Hyack Mixed Triples. They were among 32 teams at New Westminster club competing. Congrats again to Winnie, Winston and Michael!! Congratulations to the 2017 Fun & Skills winners George, Sharon and Hilda. Fun was had by all, skills by some! 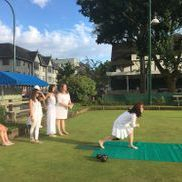 Come out and Lawn Bowl, New Members Welcome! 14 Teams competed for the honour of winning a once-in-a-lifetime tournament. At the end of the day, it was the Richmond foursome of Peter Lee, Lisa Cheung, Kelvin Lai & Gigi Chan which won the day with the the only undefeated (3-0) record. A three-way tie at 2 wins and 1 loss was won by Connie Yeung's Vancouver South rink on the basis of shot differential. High single went to the host club's team of Francis Yau, Josephine Lee, Shirley Lai and Simon. All teams were treated to good greens, a beautiful commemorative anniversary towel and a piece of cake to round off the event. The 2015 is going to be one to remember. Our club is proud to celebrate its 100th anniversary. Team Canada brought home three medals from the Asia Pacifics and one was in the pocket of one of our members, John Aveline. 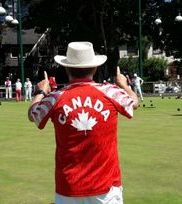 John played second on the men's fours team that won bronze. You can read about the event from a player's perspective by checking out John's website http://www.againstthebias.webs.com/. The Vancouver Leisure Society is holding its 4th annual bowls tournament to raise money to help combat Cystic Fibrosis. This year Granville Park had the privilege of hosting all fours nights of this event. The event has now spread to four cities across Canada (Ottawa, London, Victoria & Vancouver). In the first three years of this event, over $100,000 has been raised for Cystic Fibrosis research. You can see Fred Lee's coverage of the event in the Province RIGHT HERE. This event was inspired by Eva Markvoort (pictured below) who had Cystic Fibrosis and was able to take part in the event's first year. She succumbed to CF in 2009, but her spirit continues to have be the driving force behind such things as finding a cure for CF and organ donation. The mainstay of our club, Tony Boucher, was awarded the 2010 Vancouver and District Volunteer of the Year. On a personal note, I have to say what most impressed me about Tony Boucher are his warm, open friendliness and his willingness to roll up his sleeves and work. When Cathie and I first walked into the Granville Park clubhouse at the start of the 1995 season, Tony immediately greeted us and made us feel welcome (which is more than we can say about a few other clubs we've strolled into). Also, for all the high-level work Tony has done for the Sport of Bowls, you can also find him weeding the gardens down at the club, sweeping the floor - whatever needs to be done. Thank you Tony for making our Sport of Bowls that much better! Our club is available to groups who would like to throw some Bowls. 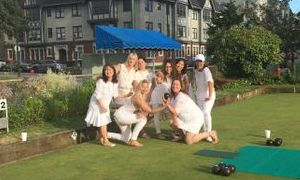 So if you're a company who wants to book an office party or a team-building afternoon, or you're just a group of friends who want to celebrate a birthday or simply give Bowls a try, contact us and we'll find a day and time for your event. We will supply all the equipment you need and any coaching you may wish as well as offering 2 greens and a comfortable club-house. We also have free parking! Please note: if your group would like to include alcohol in your event, we require that you arrange all of the necessary liquor permitting and provide us with proof of same before the day of the event.